Meadow Bank Lodge in Staveley, near Kendal, Cumbria sleeps 4 people. 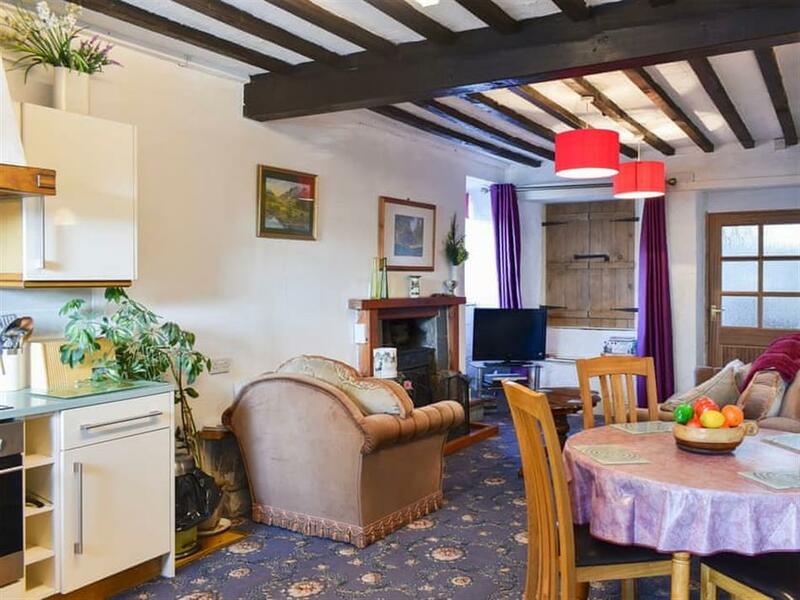 Meadow Bank Lodge near Kendal retains a lot of its original cottage feel, together with all of the modern conveniences that you would expect to find at home. Walking into the large open plan living space, you will find generous seating for four people at both the dining table and in the living area, as well as the added bonus of a warming wood burner. A double bedroom and a twin bedroom can be found on the first floor as well as a fully tiled family bathroom with shower over bath. The enclosed lawned garden with a selection of flowers and bushes, which attract local wildlife, makes the perfect place to sit out in the summer months. It has superb views over the meadows and hills, and a large decked area with table and chairs, where you can also take in the views. Surrounded by peace and tranquillity, this lovely, detached cottage is situated on the edge of the village, just a very short walk from the shops and well known artisan yard with Hawkshead Brewery, a café and other facilities. 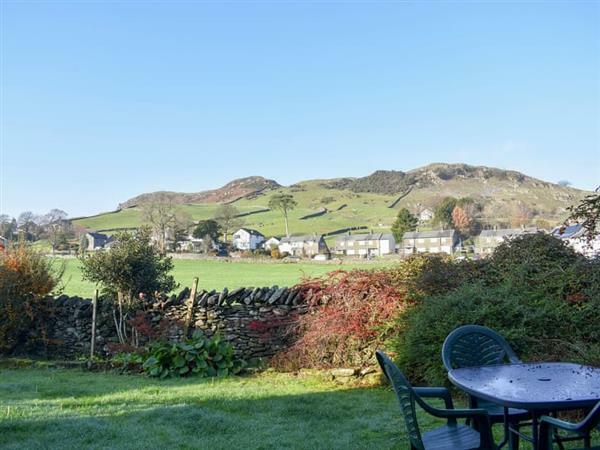 The bus stop is only a minute’s walk away, or within a 10-minute drive you can reach Kendal, offering supermarkets and shopping centres as well as some amazing walks and the ruin of Kendal Castle. Just 10 minutes in the opposite direction will bring you to Windermere with Troutbeck and Bowness-on-Windermere, both with a whole host of things to see and do, including access some of the most beautiful lakeside and mountain range scenery in the Lake Distract National Park. The beach is 18 miles from Meadow Bank Lodge near Kendal. With the shop, pub and restaurant 100 yards from Meadow Bank Lodge. Living area: With wood burner, 32 Freeview TV and DVD player. Kitchen area: With electric oven, electric hob, microwave, fridge/freezer, washing machine and wooden floor. Gas central heating, electricity, bed linen, towels and Wi-Fi included. Initial logs for wood burner included. Highchair. Welcome pack. Small enclosed lawned garden with decked area and garden furniture. Private parking for 1 car. No smoking. Please note: There is a step in the garden. Holidays at Meadow Bank Lodge run from Saturday to Saturday. For a better idea of where Meadow Bank Lodge is, you can see Meadow Bank Lodge on the map below. Meadow Bank Lodge is in Cumbria; should you be on the lookout for a special offer, you can find all the special offers in Cumbria. It's always worth checking to see what is on offer at the moment. Do you want to holiday near Meadow Bank Lodge (UK1375), you can see other cottages within 25 miles of Meadow Bank Lodge; have a look to find your perfect holiday location.